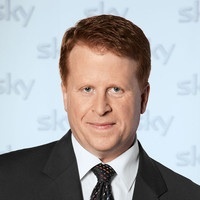 Sky Deutschland’s CEO Brian Sullivan is likely to report further steady progress when he unveils its Q1 numbers on May 3rd. Investment banker Morgan Stanley in a note to clients, says it is expecting Sullivan to say that the broadcaster is steadily improving both the quantity and quality of its subscriber base. While the bank’s report doesn’t expect too many surprises, not least “unexciting” pay-TV net additions of about 40,000-45,000 (from +73,000 this time last year) there will be healthy growth in HDTV (up about 95,000) and Sky Plus (90,000) with ARPU continuing to rise. Sky Germany’s decision to cut its telesales efforts, as well as toughening up its approach to discounting, will mean that churn is up (annualised to about 11.8 per cent, but at 13.3 per cent for the quarter) but the quality and loyalty of the core subscriber base will improve into 2014, says Morgan Stanley analyst Patrick Wellington. “The benefit from taking out this portion of lower quality subscribers should be progressively seen in lower churn numbers from the early part of 2014,” says the Morgan Stanley report. “It also reduces selling expenses. SkyD can anticipate a pickup in the gross subscriber growth rate from mid-year as the benefits of the new cooperation agreement with KDH kicks in from that stage while the new exclusive Bundesliga rights come into play from August. Sky D will have the opportunity to attract the c150k-175k DT Ligatotal! customers over to Sky as part of the arrangement made between the two companies. We look for continued good growth in other services with HD adds of 95k in the quarter, Sky Plus adds of 90k and Multiroom adds of 35k”.